1. All nations in Middle East are equally entitled to life and development. The Middle East is beset by war and undergoing social unrest by now. Peace, stability and development are the common aspirations of countries in the Middle East. Resolving disputes through political means is a strategic option that is in the interests of all sides concerned. All nations in Middle East, including Israel, are equally entitled to life and development. Only when the legitimate rights of all countries are ensured, and all countries respect each other’s concerns, can there be permanent peace and stability in the region. Said Xi when meeting with Israeli Prime Minister Benjamin Netanyahu in Beijing on May 9, 2013. 2. China supports a nuclear-free Gulf. The Gulf region and Middle East situation has a global impact and all members in the region share responsibility for safeguarding Gulf security and stability. China has always backed the just cause of the Palestinian people and will continue to facilitate peace talks. China supports a nuclear-free Gulf and will continue to promote a long-term, comprehensive and proper solution to the Iranian nuclear issue. Said Xi when meeting with Saudi Arabia Crown Prince Salman Bin Abdulaziz Al Saud, who is also the deputy premier and minister of defense, in Beijing on March 13, 2014. 3. 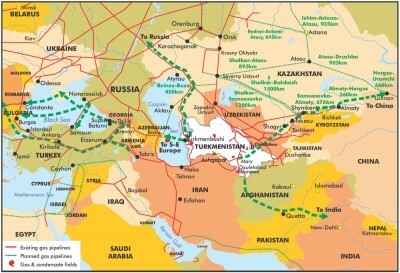 China and Arab states should carry forward the Silk Road spirit. For thousands of years, the Silk Road carried the spirit of peace and cooperation, openness and inclusiveness, learning from each other, mutual benefits and win-win results, which is passed on generation after generation. The people of China and the Arab world support each other in the battle of defending national dignity and sovereignty, help each other in realizing national rejuvenation, learn from each other in deepening cultural exchanges and promoting the prosperity of national cultures. Carrying forward the Silk Road spirit is to facilitate mutual learning among civilizations. Carrying forward the Silk Road spirit is to adhere to win-win cooperation. Carrying forward the Silk Road spirit is to advocate dialogue and peace. Said Xi when addressing the opening of the Sixth Ministerial Conference of the China-Arab States Cooperation Forum in Beijing on June 5, 2014. 4. China and Arab states should make joint efforts in building the Silk Road Economic Belt and the 21st Century Maritime Silk Road together. China and Arab states learned about and made friends with each other through the Silk Road, which makes them natural partners in building the Silk Road Economic Belt and the 21st century Maritime Silk Road together. In building the « One Belt and One Road » together, China and the Arab states need to adhere to the principle of building jointly through consultation to meet the interests of all. China and the Arab states need to be both ambitious and down-to-earth. China and the Arab states need to rely on and promote their traditional friendship. Said Xi at the opening ceremony of the Sixth Ministerial Conference of the China-Arab States Cooperation Forum in Beijing on June 5, 2014. 5. China opposes any discrimination and prejudice about specific ethnic group or religion. No human civilization is superior to others. Equal exchanges make human civilization rich and colorful, just like the matching of different colors leads to greater beauty and the combination of different music instruments creates harmony and peace. China will unswervingly support Arab countries in maintaining their national culture and tradition, and oppose any discrimination and prejudice toward specific ethnic group or religion. We should make joint efforts in calling for civilization and tolerance, and preventing extremist forces and thought from creating a fault line among different civilization. Said Xi when addressing the opening ceremony of the Sixth Ministerial Conference of the China-Arab States Cooperation Forum in Beijing on June 5, 2014. 6. China insists on “four adherences”. China values relations with the Arab states and has always viewed China-Arab relations from a long-term strategic perspective. For our Arab friends, we insist on “four adherences.” The first one is adhering to the support of Middle East peace process and safeguarding legitimate rights and interests of the Arab peoples. The second one is adhering to the direction of facilitating a political solution and promoting peace and stability in the region. The third one is adhering to the idea of supporting Arab nations to explore the development pattern independently and to helping them. The fourth one is adhering to the value pursuit of promoting dialogue among civilizations and advocating a civilized new order. We are willing to walking hand in hand with the Arab countries on the path to the respective national revitalization. Said Xi when meeting with heads of Arab delegations to the Sixth Ministerial Conference of the China-Arab States Cooperation Forum in Beijing on June 5, 2014. 7. The Middle East peace process needs the wisdom and efforts of all sides. Said Xi when meeting with UN Secretary-General Ban Ki-moon on August 16, 2014. 8. China has, as always, viewed China-Arab relations from a long-term strategic perspective. At present, China-Arab relations are lying in the middle and core and standing at a fresh start, featuring peace and cooperation, openness and inclusiveness, learning from each other, mutual benefits and win-win results. I pay high attention to the development of China-Arab relations. China has, as always, viewed China-Arab relations from a long-term strategic perspective, and stands ready to work with Arab states to raise the China-Arab strategic cooperative relations featuring all-round cooperation and common development to a higher level. Said Xi when sending a letter of congratulations to the year of China-Arab friendship and the 3rd Arabic Arts Festival on September 10, 2014. 9. The international community should support the people in the Middle East to seek the right path in accordance with their own national conditions. There are many problems and complex contradictions in the Middle East. A political solution is the only realistic way to solve disputes in the region. No matter how difficult it is, we should keep maximum patience to provide maximum room for a political solution. It is the countries and peoples in the region that have the biggest say on what development path they should follow. The international community should support their efforts in seeking the right path in accordance with their own national conditions. Said Xi when meeting with Sheikh Tamim Bin Hamad al-Thani, Emir of Qatar in Beijing on November 3,2014. 10. China and the Arab states are friends with mutual trust and partners walking hand in hand. China and the Arab states are friends with mutual trust and partners walking hand in hand on the path to realize mutual development. China, adhering to the Silk Road Spirit of peace and cooperation, openness and inclusiveness, learning from each other, mutual benefits and win-win results, will work with all the countries in the world including the Arab countries to facilitate mutual development and improve the well-being of people in all the countries in the world. Said Xi in a letter of congratulations to the China-Arab States Expo on September 10, 2015.